Roderick J. Flaherty is an arbitrator and mediator with ADR Chambers. Mr. Flaherty is a retired Justice of the Ontario Court of Justice. Appointed to the bench in 1990, he was based in Dryden, Ontario, and presided throughout Northwestern Ontario, where he pioneered sentencing circles in the most remote communities. Later he served in Brampton and Toronto, retiring in April 2014. His decisions were twice upheld in the Supreme Court of Canada. He served as a director of the Ontario Judges’ Conference. Prior to his judicial appointment he was a senior counsel for ten years in the Toronto office of the Canadian Department of Justice. As a member of the Northwest Territories bar he traveled throughout the Canadian Arctic. In Ontario he conducted major prosecutions for the Government of Canada, most notably against Simpsons-Sears Ltd. for misleading advertising resulting in a then record fine of one million dollars. He negotiated mutual assistance agreements in tax matters on behalf of the Minister of Justice with the governments of France, Italy, Belgium, Germany and the Netherlands and appeared before courts in those countries to conduct commission evidence proceedings as well as in Great Britain, the United States and Guyana. First called to the bar in 1964, Mr. Flaherty was in general practice in Port Colborne, Ontario until 1980. He practised corporate, commercial and estate law as well as civil, family and criminal litigation. 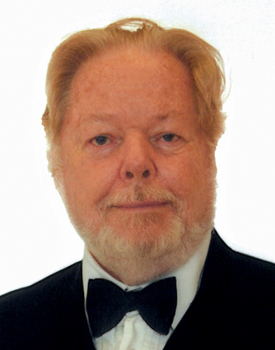 He was twice president of the Greater Port Colborne Chamber of Commerce and served as City Solicitor. He has completed the Executive Certificate in Conflict Management from the University of Windsor Law School.